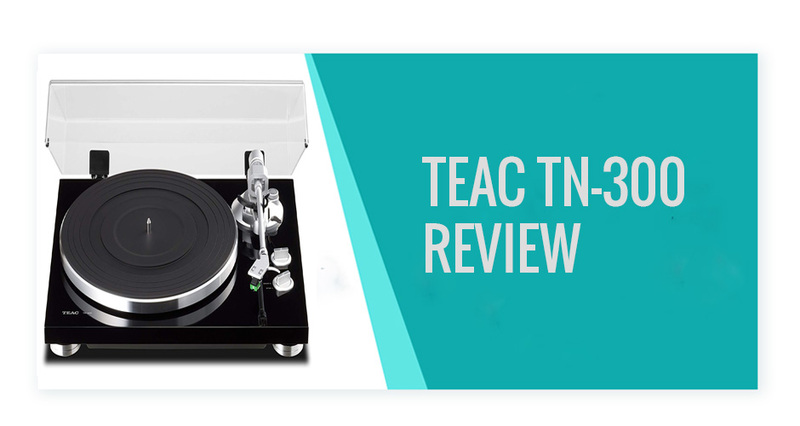 Are you going to buy a new turntable and that’s why wanting a Teac TN-300 review? If yes, then your wish has fulfilled as you have landed in the right place. Our team has tested this popular turntable for providing you a closer look about this equipment. The main motive of our blog is to give an honest review about this record player so that you can easily decide to buy it or not. The most important thing that everyone considers while buying a turntable is the sound quality. It is the major feature that the buyers check out in the Teac record player reviews. If you are looking for the same, then check out this complete part carefully. It comes with an MM phono equalizer amplifier having a USB output feature making things convenient. This record player supports both the phono as well as a line output. Also, the USB digital output allows the users to transfer music to a computer system or laptop from the vinyl records. This feature turned out to be very handy for the buyers as they can preserve their collection in a better way. It equipped with the AT95E VM cartridge that allows the record player to play music with high accuracy immediately after completing the setting process. The platter is made using high-quality aluminum that assists in producing solid sound. Furthermore, they have polished the steel completely that help in making the performance accurate. Overall, we believe that the sound of this turntable is worth its price and you can invest money in it without researching anything further. We will talk about the design feature in our Teac TN-300 review to ensure you get full information about this amazing turntable. Its solid aluminum cast and high-quality DC motor allow it to stand out of the crowd for sure. Overall, this turntable is a perfect example of a beautiful & sophisticated design that doesn’t compromise with the performance factor. Also, they are available in many different colors allowing you to choose the one that suits perfectly to your requirements. The company has crafted its design using modern CNC technology that makes it a perfect option to buy. It allows you to complete the setup process quite easily. So, we find that it is an amazing turntable regarding design perspective. There is a high torque DC motor used for driving the top-notch aluminum die-cast platter that equips with a neoprene rubber for making the rotation stable. Furthermore, the company has made sure that the spindle maintains its accuracy for the longer period by polishing its stainless steel spindle. Additionally, it comes with a highly durable bronze spindle holder for making the things easier. One of the best features in this amazing Teac TN-300 analog turntable is its built-in phono preamp through which the users can enjoy the vinyl playback with all types of amplifiers. The experience gets further enhanced with the addition of line outputs that allow you to play the vinyl without using a phono equalizer. Another specification that makes this product worthy to buy is its gold-plated terminal. It is completely resistant against the oxidation that eliminates a headache to a greater extent. Many buyers get frustrated due to the oxidation that affects the sound. So, you won’t have to deal with this issue if you buy this record player. The USB output feature allows the users to transfer the music to the computer system. It ensures that your vinyl records remain in a secure condition. How to set up this turntable? This amazing turntable comes with almost all the features like a built-in preamp, phono equalizer, etc. You need to buy two equipment, such as power amplifier and external speaker separately. All the instructions related to the installation process explained in the manual that comes with it. Overall, the process is quite smooth, and you won’t find many difficulties in the installation process. What are the pros of TEAC TN-300? As mentioned above, this amazing turntable available in five different colors like black, white, red, cherry, and natural. It ensures that you can easily find one that matches your home décor. It is a pretty reliable option that comes in a very beautiful exterior design. It is the main thing that attracts the buyers most towards this product. There is greater protection provided by the oxidation by its gold-plated terminals. It can be very useful in the long run when the turntable become old. This turntable is extremely easier to set up and use even if you are a complete beginner. Our team has put up special attention to the setup process while creating this Teac TN-300 turntable review. What are the major cons of TEAC TN-300? There are complaints about the hum by some of the users, but the numbers are quite low. The audio quality of the converted audio is average and could be improved. If you want to enjoy the music in its purest form, then it is the perfect option to start your journey. It comes with an efficient set of features allowing you to enjoy the music. This turntable is extremely simple to use and install. You can invest money in this product with complete peace of mind. We believe this Teac TN-300 review has solved all your queries efficiently. If you have a question about this product, please tell us in the comment section. You can also contact us through email.